It’s a piece of advice yogis have given for thousands of years: take a deep breath and relax. Watch the tension melt from your muscles and all your niggling worries vanish. Somehow we all know that relaxation is good for us.Now the hard science has caught up: a comprehensive scientific study showing that deep relaxation changes our bodies on a genetic level has just been published. 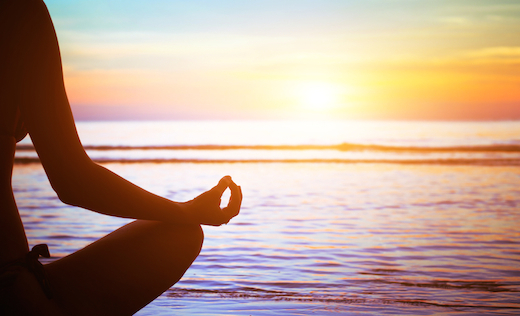 What researchers at Harvard Medical School discovered is that, in long-term practitioners of relaxation methods such as yoga and meditation, far more ”disease-fighting genes” were active, compared to those who practised no form of relaxation.In particular, they found genes that protect from disorders such as pain, infertility, high blood pressure and even rheumatoid arthritis were switched on. The changes, say the researchers, were induced by what they call ”the relaxation effect”, a phenomenon that could be just as powerful as any medical drug but without the side effects. ”We found a range of disease-fighting genes were active in the relaxation practitioners that were not active in the control group,” Dr Herbert Benson, associate professor of medicine at Harvard Medical School, who led the research, says. The good news for the control group with the less-healthy genes is that the research didn’t stop there. More encouraging still, the benefits of the relaxation effect were found to increase with regular practice: the more people practised relaxation methods such as meditation or deep breathing, the greater their chances of remaining free of arthritis and joint pain with stronger immunity, healthier hormone levels and lower blood pressure. Benson believes the research is pivotal because it shows how a person’s state of mind affects the body on a physical and genetic level. It might also explain why relaxation induced by meditation or repetitive mantras is considered to be a powerful remedy in traditions such as Ayurveda in India or Tibetan medicine. But just how can relaxation have such wide-ranging and powerful effects? Research has described the negative effects of stress on the body. Linked to the release of the stress-hormones adrenalin and cortisol, stress raises the heart rate and blood pressure, weakens immunity and lowers fertility. By contrast, the state of relaxation is linked to higher levels of feel-good chemicals such as serotonin and to the growth hormone which repairs cells and tissue. Indeed, studies show that relaxation has virtually the opposite effect, lowering heart rate, boosting immunity and enabling the body to thrive. ”On a biological level, stress is linked to fight-flight and danger,” Dr Jane Flemming, a London GP, says. ”In survival mode, heart rate rises and blood pressure shoots up. Meanwhile muscles, preparing for danger, contract and tighten. And non-essential functions such as immunity and digestion go by the wayside.” Relaxation, on the other hand, is a state of rest, enjoyment and physical renewal. Free of danger, muscles can relax and food can be digested. The heart can slow and blood circulation flows freely to the body’s tissues, feeding it with nutrients and oxygen. This restful state is good for fertility, as the body is able to conserve the resources it needs to generate new life. While relaxation techniques can be very different, their biological effects are essentially similar. ”When you relax, the parasympathetic nervous system switches on. That is linked to better digestion, memory and immunity, among other things,” Toby says. ”As long as you relax deeply, you’ll reap the rewards.” But, he warns, deep relaxation isn’t the sort of switching off you do relaxing with a cup of tea or lounging on the sofa. Relaxation appears to boost immunity in recovering cancer patients. A study at the Ohio State University found that progressive muscular relaxation, when practised daily, reduced the risk of breast cancer recurrence. In another study at Ohio State, a month of relaxation exercises boosted natural killer cells in the elderly, giving them a greater resistance to tumours and to viruses. Emotional balance, means to be free of all the neurotic behavior that results from the existence of a tortured and traumatized ego. This is very hard to achieve fully, but meditation certainly is the way to cure such neurosis and unhealthy emotional states. As one’s consciousness is cleansed of emotionally soaked memories, not only does great freedom abound, but also great balance. As one’s responses then are not colored by the burdens one carries, but are instead true, direct and appropriate. A study at the University of Western Australia found that women are more likely to conceive during periods when they are relaxed rather than stressed. A study at Trakya University, in Turkey, also found that stress reduces sperm count and motility, suggesting relaxation may also boost male fertility. When patients suffering from irritable bowel syndrome began practising a relaxation meditation twice daily, their symptoms of bloating, diarrhoea and constipation improved significantly. The meditation was so effective the researchers at the State University of New York recommended it as an effective treatment. A study at Harvard Medical School found that meditation lowered blood pressure by making the body less responsive to stress hormones, in a similar way to blood pressure-lowering medication. Meanwhile a British Medical Journal report found that patients trained how to relax had significantly lower blood pressure. Stress leads to inflammation, a state linked to heart disease, arthritis, asthma and skin conditions such as psoriasis, say researchers at Emory University in the US. Relaxation can help prevent and treat such symptoms by switching off the stress response. In this way, one study at McGill University in Canada found that meditation clinically improved the symptoms of psoriasis. The simple difference between those who meditate and those who do not, is that for a meditative mind the thought occurs but is witnessed, while for an ordinary mind, the thought occurs and is the boss. So in both minds, an upsetting thought can occur, but for those who meditate it is just another thought, which is seen as such and is allowed to blossom and die, while in the ordinary mind the thought instigates a storm which rages on and on. How can you use relaxation’s healing powers? Harvard researchers found that yoga, meditation and even repetitive prayer and mantras all induced the relaxation effect. ”The more regularly these techniques are practised, the more deeply rooted the benefits will be,” Jake Toby says. Try one or more of these techniques for 15 minutes once or twice a day. Body Scan: Starting with your head and working down to your arms and feet, notice how you feel in your body. Taking in your head and neck, simply notice if you feel tense, relaxed, calm or anxious. See how much you can spread any sensations of softness and relaxation to areas of your body that feel tense. Once your reach your feet, work back up your body. Breath Focus: Sit comfortably. Tune into your breath, follow the sensation of inhaling from your nose to abdomen and out again. Let tension go with each exhalation. When you notice your mind wandering, return to your breath. Mantra Repetition: The relaxation response can be evoked by sitting quietly with eyes closed for 15 minutes twice a day, and mentally repeating a simple word or sound such as ”Om”. Guided Imagery: Imagine a wonderfully relaxing light or a soothing waterfall washing away tension from your body and mind. Make your image vivid, imagining texture, colour and any fragrance as the image washes over you.